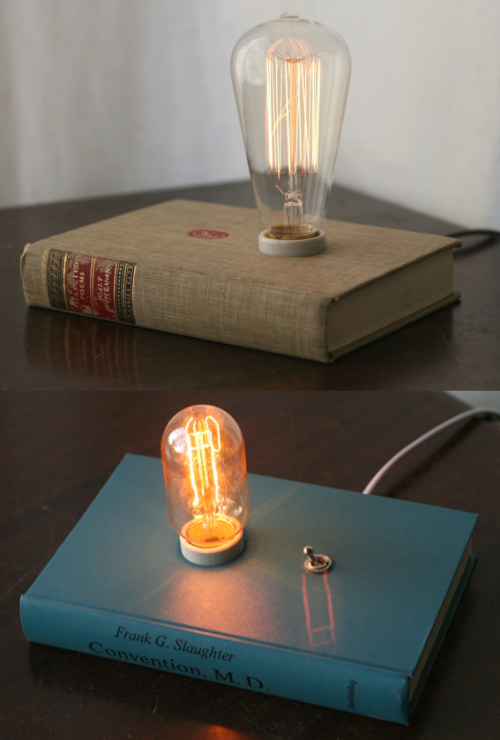 I quite like this idea, maybe for putting together a series of small prints, or a book in a box. From Martha Stewart Living. 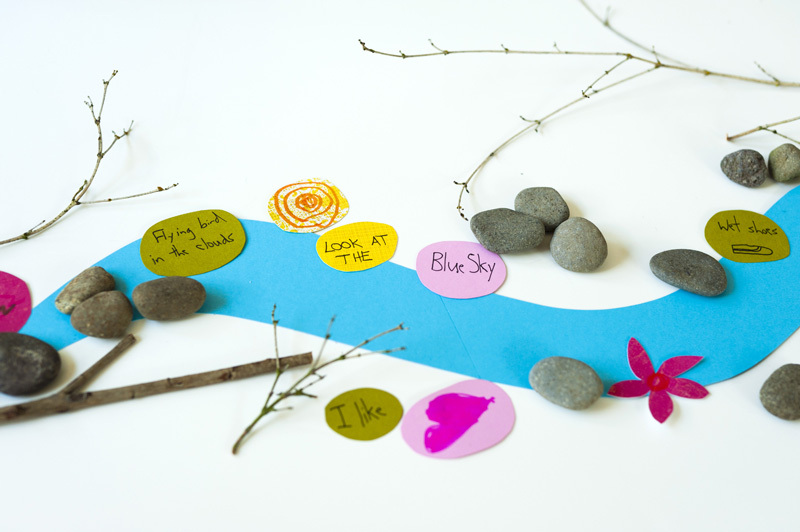 This reminds me of those fun magnetic fridge poetry sets, except more poetic, with the imagery of a river. From Made by Joel. Any idea? You, too, can easily make a maze rug! Check out this post on Curbly! 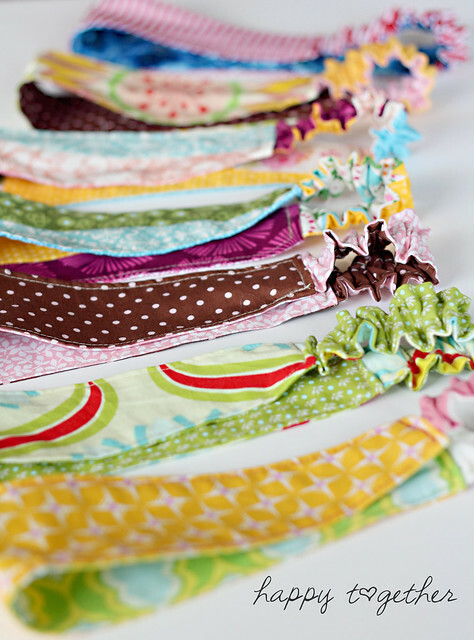 Double‐sided fabric headband! That’s like, two headbands in one to match different outfits! Fabulous :D How‐to on Happy Together. I love the look of this headband too, like a crown of laurels. Knitting pattern from the awesome Sweatshop of Love. More headbands! I do like headbands, they go well with my bangs. 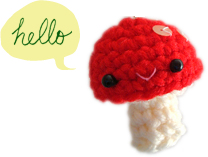 And I’m seriously considering making one of these. Now I just have to find myself a nice colour t‐shirt. Very detailed instructions on Make It and Love It. I’ve seen plenty of pillowcase skirts and tops, but never seen a full‐length dress made of a bed sheet! The key, of course, is to make it so that it doesn’t look like one is walking around draped in a bed sheet. I’ve often contemplated making a pillowcase top but worry that everyone would be able to tell right away that I’m wearing a pillowcase… anyway, I digress. But this dress is AMAZING! The pattern on the vintage sheet is gorgeous. Read more on the making of the dress on Running with Scissors. More foam tray printing goodness. I’ve attempted this method before, it’s so much fun I should do more of this. Styrofoam tray stationary tutorial from Smoothpebble. I’ve attempted these before too! For a project in printmaking class. I drew the design on transparencies with a hot glue gun :D was fun but the “stamps” were wonky and a bit annoying to handle. These stamps from the tutorial on Craft are made with clear silicon caulking on Plexiglass — I’m sure it’s much sturdier and easier to use! 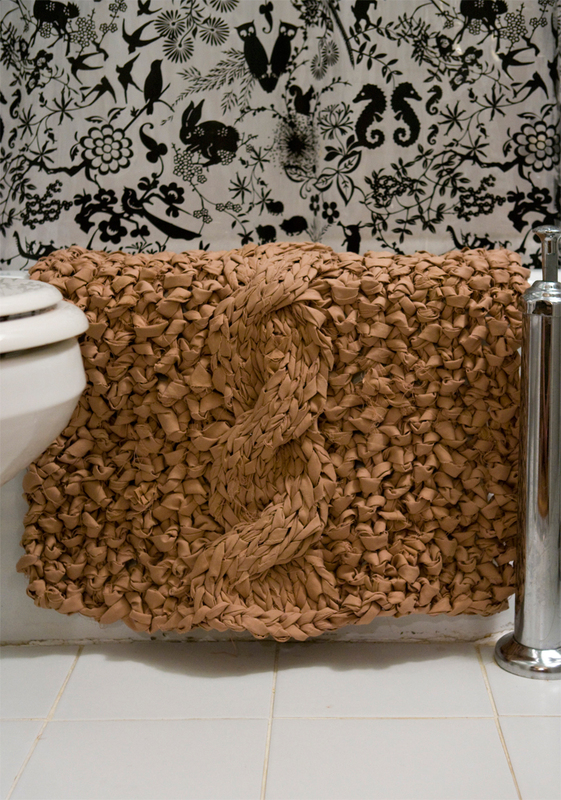 Very stylish bath mat! I love the simple knit cable design. Tutorial from A Common Thread. Lovely fabric lanterns, molded on balloons and jar lids and stiffened with white glue. Brilliant idea. From Make Grow Gather. Can’t believe how easy it is to make scratch‐off paint! Just metallic acrylic paint mixed with dish soap! Martha’s tutorial is for a wedding save‐the‐date card, but this could totally be a fun party game or something. Or greeting cards. Or just make scratch‐off cards for fun! Also brilliant are these mason jar sippy cups — so much more stylish than the plastic ones. And yay to no spillage! 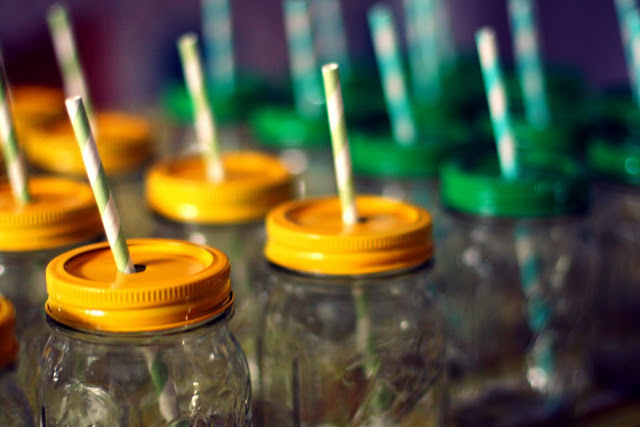 (Probably not for toddlers though, I think, as they are glass) Actually, I would totally use one of those — yay to no bugs falling into my drinks at outdoor barbeques! How‐to on A Bit of Sunshine. 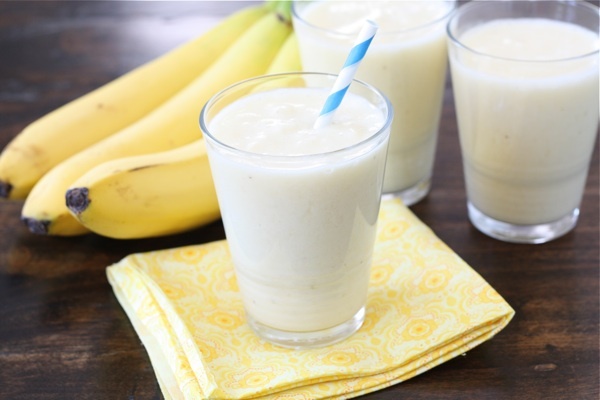 I love how simple this is — just pineapple, banana, coconut milk, and ice! Can’t wait to get some coconut milk and try it :D Recipe on Make and Takes. 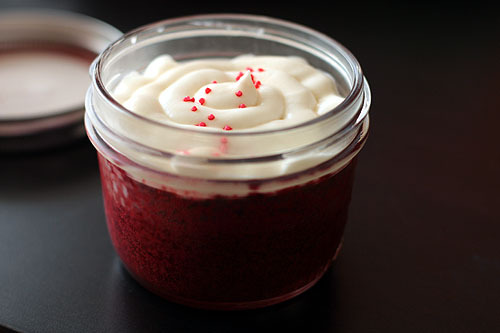 I’ve mentioned how much I love the idea of cupcake in a jar — here’s a red velvet version! Mmm cream cheese frosting… From Not Martha. 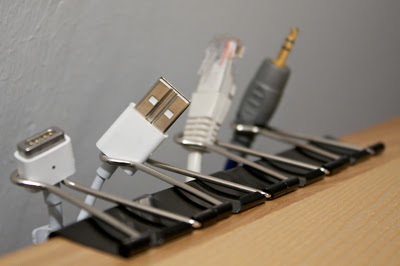 Simply awesome way to organize desk! Via How About Orange. 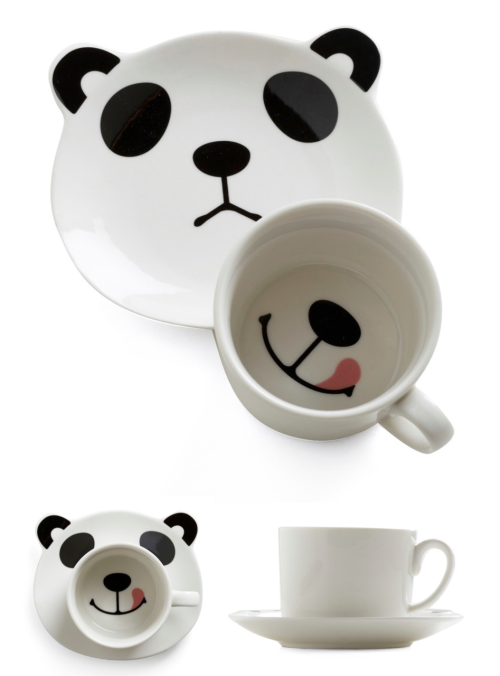 Much more affordable (and makes me equally happy) is this panda mug set! :D Isn’t he clever? (not that I will spend the money. I will be content just hugging it with my eyes). From Mod Cloth (also via Inspire Me Now). sunday video — angry birds live! You like so many things! You’ll be happy to know that my printer cable has a handy little “home”, rather than the floor, thanks to your link, yay! I’m also looking forward to knitting that cable headband. You do find the coolest links; thanks! Thanks for the shout out, lady! So glad you like the headband pattern. Can’t wait to see your version! thank you for visiting! :D i don’t knit very well but will certainly attempt the pattern soon!